One of the world’s most active volcanoes, the Piton de la Fournaise (Peak of the Furnace) on Reunion Island, has left onlookers stunned after erupting into the night sky. 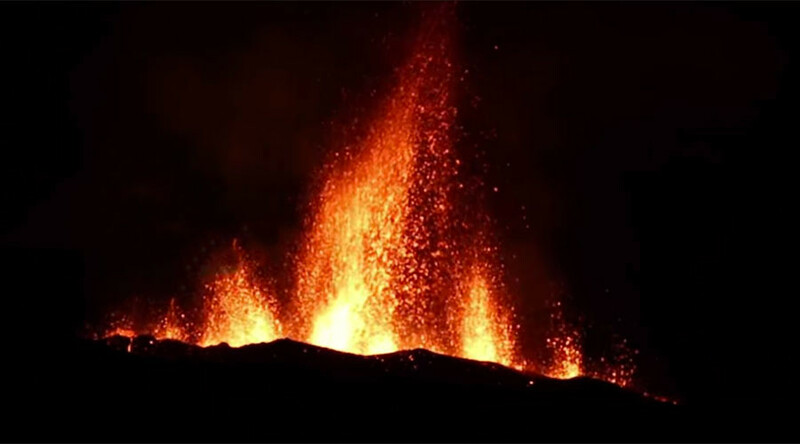 The 2,632 meter (8,635ft) shield volcano, located on the French outpost in the Indian Ocean, erupted on Tuesday night spewing lava and plumes of hot ash up to 15 meters into the air, illuminating the night sky. The volcano is one of the most active on the planet, along with Italy’s Mount Etna and Kilauea, Hawaii. Though this is its first eruption this year, it has vented its fiery payload more than a dozen times in the last decade. On average, the volcano has erupted every eight months since 1640, according to the Piton de la Fournaise Volcano Observatory, reported Sciences et Avenir.